Car Shipping Frequent Questions - Auto Transport Assoc. 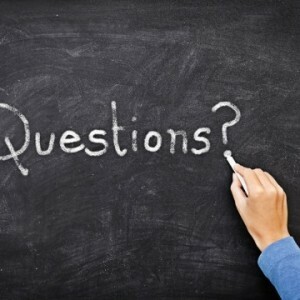 Most common auto transport questions in Canada and the USA. Carefully read the following answers to make the best decision when it comes to your vehicle relocation. The best way to determine your vehicle shipping cost is to receive quotes from several Auto Transport Companies. Due diligence should be taken by the consumer to ensure proper selection between booking or an actual auto hauler. Does your carrier use the proper equipment? Is the driver qualified to transport your vehicle? Has the auto transport driver been trained properly? HOW CAN I BE SURE THAT MY AUTO SHIPPING COMPANY IS GIVING ME THE BEST PRICE? IS MY CAR INSURED BY MY AUTO SHIPPING COMPANY? Your vehicle should be insured against damage and theft by your auto transporter or car drive-away company. However, you should always ask for a copy of current insurance coverage. Ask if the carrier’s insurance is primary or secondary to your own insurance. You also want to find out if there is a damage deductible. It is a good idea to verify all insurance coverage in writing. In addition, your car insurance may cover your vehicle while in transit – you can check with your car insurance company to verify your coverage during the auto transport. Keep in mind that many auto transporters and car drive-away companies may discourage or prohibit you from leaving personal belongings in your vehicle. Personal belongings left in the car are not insured by auto shipping companies, although your home policy may cover these items– check with your home insurance agent to verify. Please note: Overloading your trunk with heavy items may result in damage to your vehicle’s undercarriage, etc. Your auto transporter or car drive-away company will likely not cover damage in that case. DO MOST AUTO TRANSPORT COMPANIES PROVIDE GUARANTEED PICK-UP AND DELIVERY DATES? Most companies will provide a “several day window” in which your car will be picked-up or delivered. You can also request a “picked-up by” or “delivered after” date. Because of the nature of auto shipping, it is very difficult to provide exact dates. If a company does provide an exact date, it is a good idea to receive it in writing with the guarantee and what will happen if they do not pick it up or drop off on the promised date. CAN I INCLUDE PERSONAL ITEMS IN MY VEHICLE? Neither the auto hauler’s insurance and license nor the car owner’s insurance typically cover any personal possessions included in a vehicle being shipped. Auto haulers have strict limits on the weight of loaded trucks and trailers. Additional, unanticipated weight of personal items could cause them to be overweight. In this situation, the auto hauler has to make a choice to drive overweight (risking fines and significant delays) or not to take the vehicle. Check with your auto hauler if they allow personal items. Where ever possible, auto haulers will pick-up your vehicle at your front door or driveway. However, some residential areas may restrict access for multi-car transport carriers. In this situation, you will typically be asked to bring your vehicle to a nearby open parking lot or a wider street where the auto hauler can safely park. Your vehicle could be transported on a car carrier that hauls anywhere from 1-12 vehicles. The most common are car carriers with space for 8-10 vehicles – the same type of trucks used to deliver new vehicles to local dealerships. Enclosed carriers are also available. Open transport is the most common way of shipping a vehicle and the majority of people shipping a car choose open transport. It is the less expensive way of shipping a car. Enclosed transport is typically priced higher. However it protects your vehicle from dust, rain, snow and other elements. Enclosed transport is a good choice if you desire additional protection for a luxury or antique car. It is very important to let the Auto Transport Company know when contacting them for a quote. The vehicle can still be transported but it will require a truck that can handle inoperable vehicles. Most times there is an additional fee for vehicles that do not run. HOW LONG SHOULD AN AUTO TRANSPORTER TAKE TO DELIVER YOUR VEHICLE? It depends on the location, dates and times. Shipping time depends on the auto transport company and the actual truck that will be taking your vehicle. Below are some ideas of typical time ranges. Be sure to ask the auto transport company you contact about estimated times for your specific shipment. East Coast to West Coast – typically 8 to 30 days Midwest to East Coast – typically 4 to 14 days Midwest to West Coast – typically 4 to 14 days. WHAT TYPE OF PAPERWORK (E.G. INSURANCE, TITLE, REGISTRATION) DO I NEED WHEN SHIPPING MY VEHICLE? 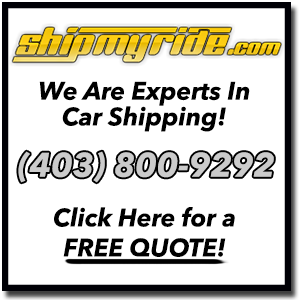 If you are shipping your vehicle within Canada the only paperwork needed is provided by the shipping company. You will need to sign a “Condition Report” (if you are present upon pick-up and drop-off) verifying the condition of your vehicle. WHAT IS THE DIFFERENCE BETWEEN DOOR-TO-DOOR AND TERMINAL-TO-TERMINAL SHIPPING? For door-to-door shipping, the auto carrier picks-up your vehicle at your home or workplace and delivers your vehicle to your final destination. For terminal-to-terminal shipping, you deliver your vehicle to a vehicle storage location where the auto carrier will then pick-up your vehicle. Your vehicle is then delivered to a similar type of location near your final destination. While door-to-door shipping is typically considered more convenient, there are some instances where using a terminal may be preferable. For instance, you can drop off your vehicle on a specific date (e.g. when you need to take a flight); your vehicle can then be delivered to a terminal near your final destination, even if you have not yet arrived. You can also choose door-to-terminal and terminal-to-door shipping as well. HOW FAR AHEAD SHOULD I SCHEDULE MY PICKUP? Giving an auto transport company two weeks notice is typically sufficient, unless you live far off a standard route. While many auto shipping companies can get your vehicle on a truck in 1-7 days, it is best to not count on getting it moved in such a short time frame. If an emergency or some other issue makes an immediate pickup necessary, you can probably find an auto transport company that can help you. If they do not have a truck that can pick up your vehicle immediately, they can typically arrange for you to take your vehicle to a nearby terminal. However, you may pay a premium for the faster service. WILL MY VEHICLE BE DRIVEN AT ALL? If you are shipping your vehicle, it will typically be driven only on and off the truck – to load it and in some cases to unload and load other vehicles. Otherwise, it will stay on the truck until it gets to your final destination. If using a terminal, it will also be driven from the terminal onto the truck and to a parking location at the terminal. If you are concerned about it being driven more than that, you can check your odometer when your vehicle is picked- up and when dropped- off. If you are using a drive-away service, a driver will drive your vehicle from your location to your final destination. HOW DO I KNOW IF I’M DEALING WITH A HAULER OR A BROKER? Contact us and we will provide you with the information you need to know if you are dealing with a hauler or a broker. WARNING: It should be mentioned that with today’s technology and with the aid of the internet almost anyone can present themselves as an auto carrier – again we encourage you to use the “Contact Us!” button to determine the validity of the claims of the auto haulers or brokers.